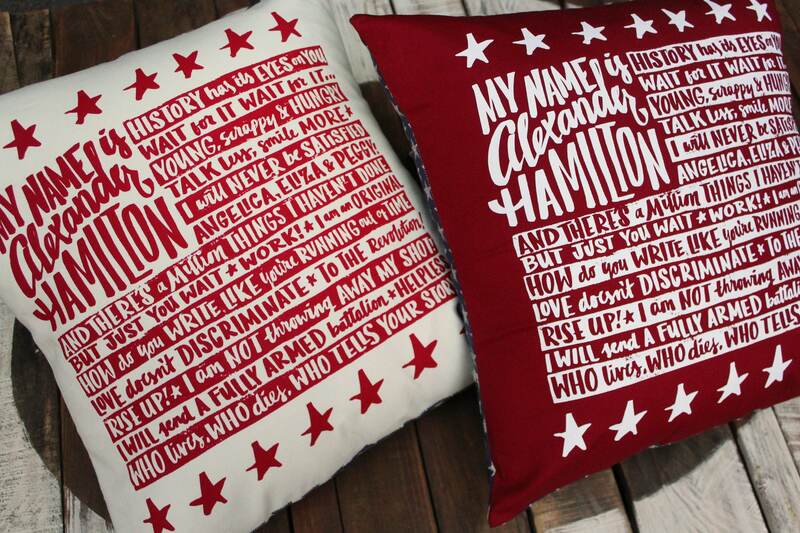 Don't miss your shot at one of these Alexander Hamilton pillow covers! 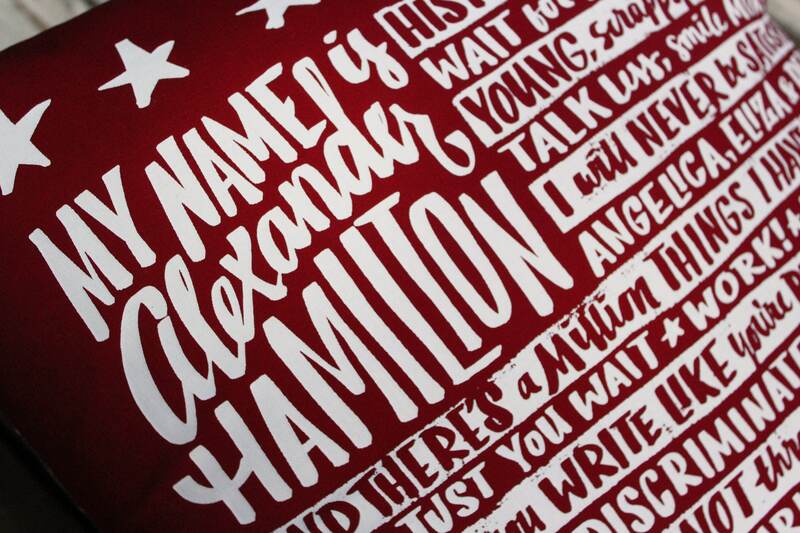 Bright red, white and blue colors with a mix of modern and vintage style just like our favorite Broadway Musical. 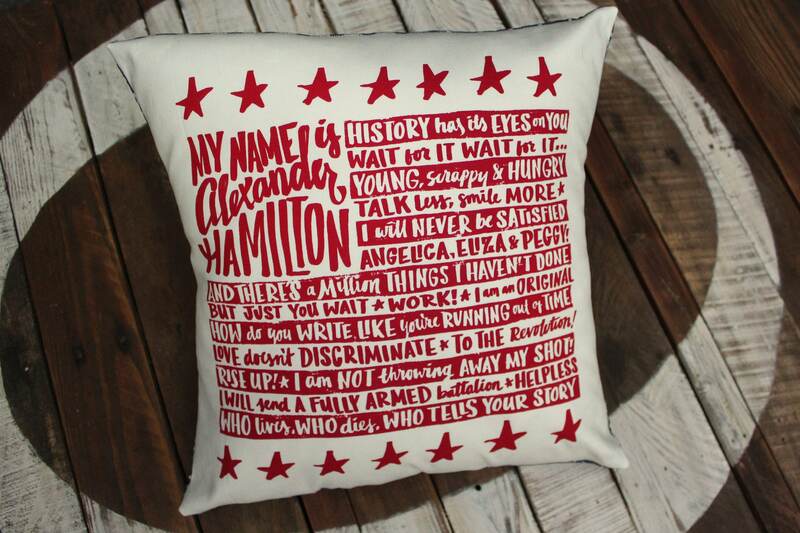 Bring a little Hamilton home with you! 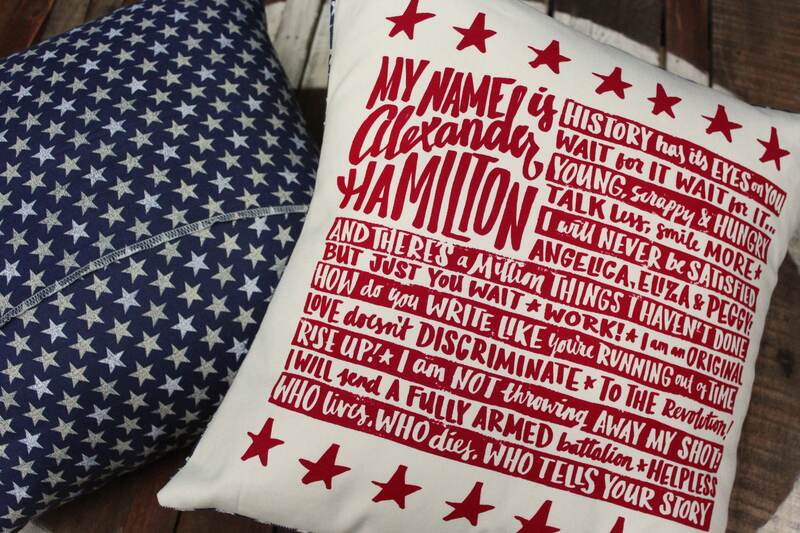 These Hamilton pillow covers also make a wonderful gift for musical theater fans, especially the ones like me who can't settle on just one favorite Hamilton lyric. 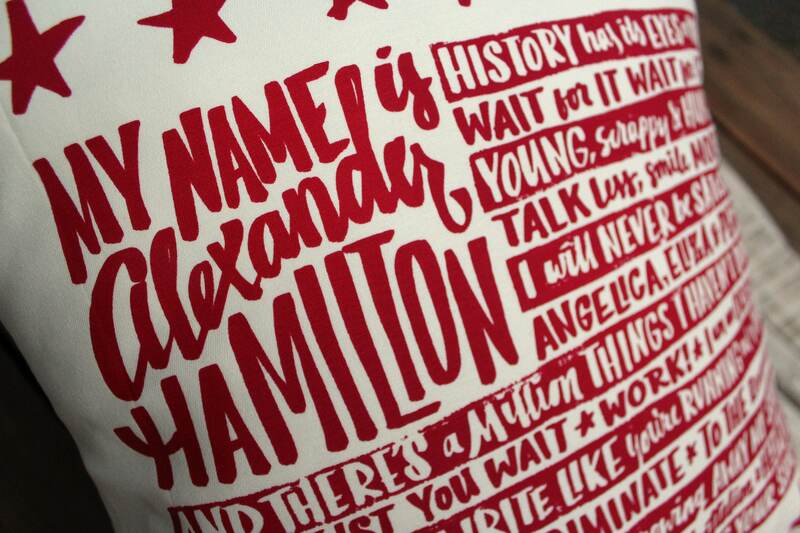 We hand screen print every Unicorn Empire pillow cover using traditional screen printing techniques and high quality inks. 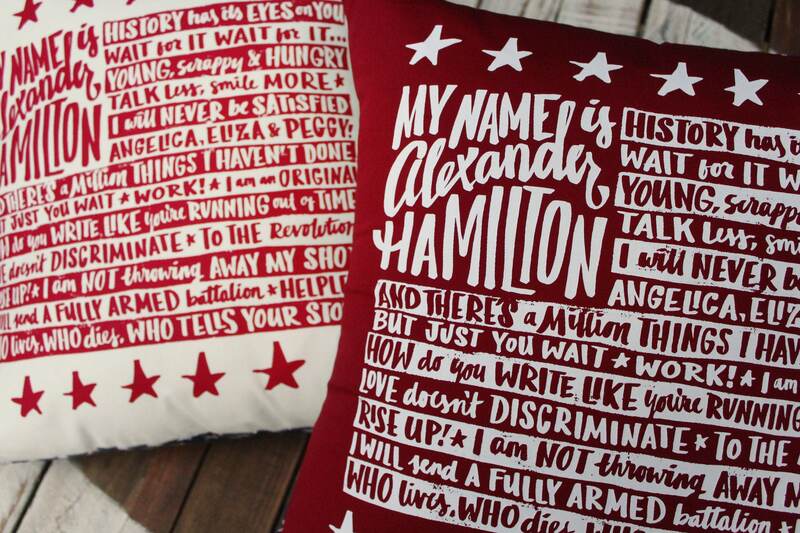 Every pillow cover is printed and sewn with care in our own workshop right here in Washington State. 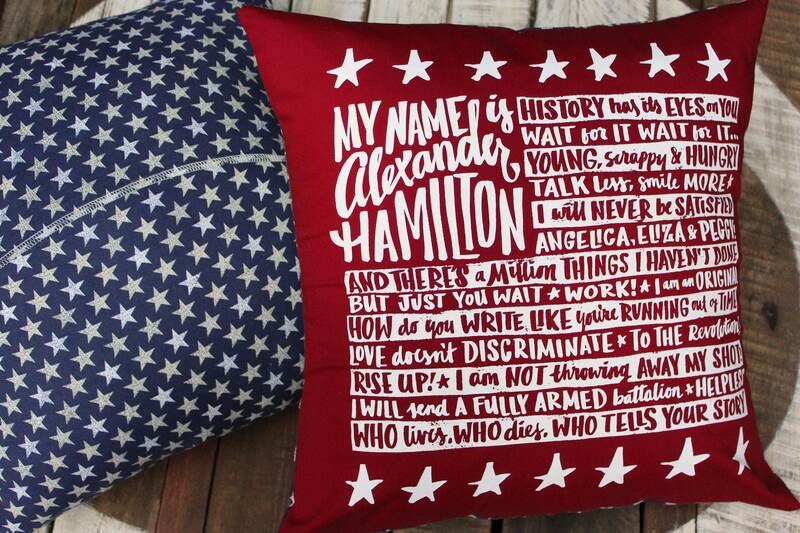 We print exclusively with water-based inks, making our pillow covers uniquely soft and durable. Envelope-backed and zipper-free for extra comfort and easy cleaning. For best results, spot-cleaning with mild soap and water is recommended. Hand-wash and hang to dry if necessary. These are great! Sturdy material and very well made! Love them, thank you!